The Celebration of Matrimony Guidelines - Click on this link to read the complete guidelines for planning your wedding at Saint Mary Our Lady of Grace. Wedding Music Selection - Click on this link to listen to and select music for your wedding. Congratulations on your recent engagement! We at Saint Mary, Our Lady of Grace look forward to working with you to prepare you for your wedding liturgy. We require that couples give the parish at least six month’s notice of intent to marry. Therefore, couples should contact the parish first, and then work their plans for the reception or honeymoon around the date they have arranged with the parish. Couples from other parishes must obtain a letter from the pastor of the church in which they are registered granting permission for the marriage. Their home parish is responsible for all required instruction, investigation, and paperwork. Weddings are normally held on Saturday, between 10:00 a.m. and 1:00 p.m., or if an evening wedding, at 6:00 p.m. Weddings may be scheduled on Sundays with pastoral approval. Weddings on Christmas Eve and Day, and the Triduum (Holy Thursday - Easter Sunday) are not permitted. Marriages may only be contracted between two free people; that is, if neither has been married before. It is possible that an annulment may be required, and this may involve the non-Catholic partner. Couples living together prior to marriage will be challenged to review this arrangement and encouraged to separate prior to the wedding. 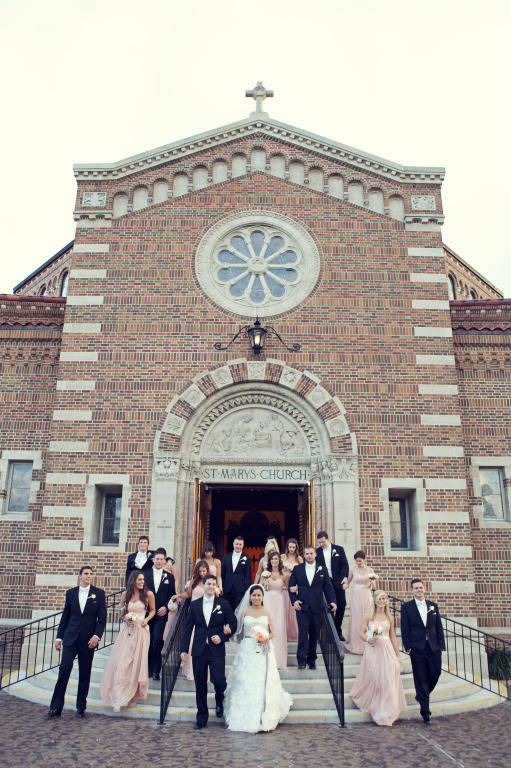 Please contact our parish Wedding Coordinator, at the Parish Office to begin the process of preparation for marriage and the wedding mass or ceremony.